The problem provides you with the molarity and volume of the target solution, so your first step here will be to use this information to figure out how many moles of sodium chloride, #"NaCl"#, it must contain. = 1.435 g of AgCl (b) As AgNO3 is present more than required, NaCl is limiting agent. 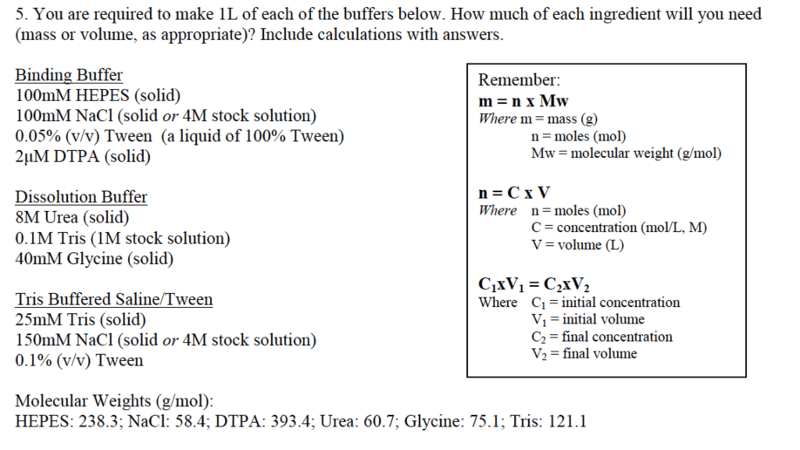 (c) Here the AgNO3 is present more than required number (0.02 mol), hence NaCl is limiting agent as it is present here is 0.01 mol less than AgNO3. To find out how many moles of salt are contained in 300. ml of a 0.40 M NaCl solution, we start with the volume in liters (0.300 L) and multiply it by the number of moles per liter of solution, which is 0.40 moles over 1.00 L. The answer is 0.12 moles of NaCl.